I’ve been toying with the idea of starting a photography podcast for the past couple months. But the problem had always been “I don’t listen to podcasts”. I’m not personally drawn to podcasts. So, how could I possibly create one if I’m not also a consumers. But, after being asked to do one for such a long time, I started to take the idea more and more seriously. Then, last week when I levied the idea on my YouTube Channel, the response was to overwhelming not to at least give it a shot. Thus today, I’m announcing my photography podcast! I’m obviously a newbie to the podcast world. But, I’ve spent the past couple weeks listening to a number of podcasts to try to understand what works and what doesn’t. I wanted to find out what I thought would work for my lifestyle, and my vibe. In the end, it’s going to go down like this. Each week I’m going to record a podcast live on YouTube. This gives me the opportunity to interact with the audience a little bit. I feed off of other people. I feel like I’m at my best when there are other people around. Every week, then, I’ll be doing a live recording. Then, I’ll be taking that recording, chopping it if necessary, and then posting it to my podcast’s RSS feed to go out to distributors like iTunes, PocketCasts, Spotify, and others. I’ll be recording live (or attempting to record live) on YouTube every week. But, there will likely be the occasional bonus podcast which I’ll record audio only. If something big happens in the photography world. Or, if there’s just something I feel like I want to talk about or address, I’ll record these. But, these won’t replace the live videos, they’ll be bonus. I’ve made a page on my website that you can access anytime. 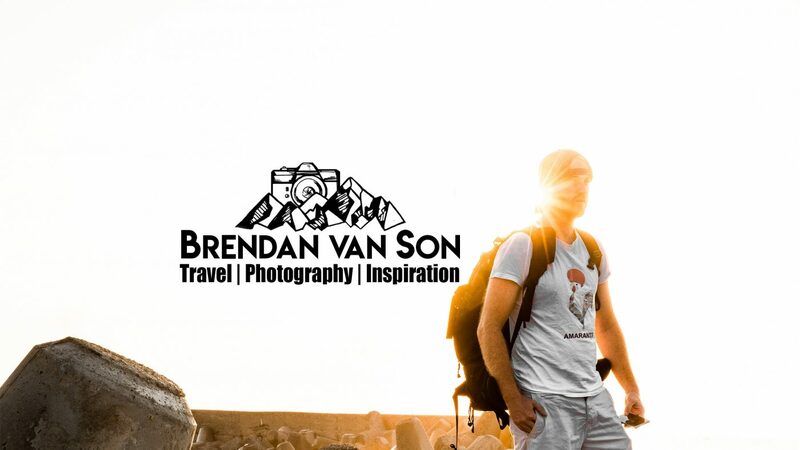 It’s https://www.brendansadventures.com/photography-podcast and you can find the link to it in the header menu of this photography blog. Every time a new podcast goes up, it will go into the embedded player there. And likely your other podcast apps. There is no fixed schedule. My travel schedule just doesn’t allow for it. However, over on the podcast page I’ll be updating the schedule as it’s developed. Of course, I’ll always be announcing new recordings on my social media. The live podcasts will usually be happening on Tuesdays and Fridays as those are my days off from vlogging. I’m hoping to have a really fun and engaging podcast that features guests and listener contributions. But, I also don’t want to forget that most people follow podcasts to learn. So, there will likely be a lesson or a topic each week that we follow. 0-15 minutes: I’ll start the first 15 minutes by introducing the subject, talking tech news, and maybe dropping some announcements if they need to be dropped. 16-30 minutes: For the middle segment I’ll be bringing in a guest to chat with. We’ll be talking about the main subject. Generally, I’m going to try to find guests that are based in the destination I’m filming from. 31-45 minutes: In the final third, we’ll be doing a Q&A using questions from the YouTube live and other streams like Twitter, Facebook messenger, Snapchat, and Instagram. This is still a very new idea so the topics will likely develop over time. However, look for this podcast to have a pretty heavy business and marketing angle. I think that’s where people have the most room to grow and learn. And I feel like I’ve been very successful in that side of things recently, so I want to share that. Ranting – lots of ranting. If you have topics that you’d like covered, be sure to drop a comment below. When Can We Expect The First One? The first podcast is already live. But, it’s a test/announcement of sorts. So, the first YouTube LIVE recording is set to happen on September 25th from Belfast with @TheFella. I’ll have the exact time when we get closer to the date. Love how much you’ve been expanding recently! Looking forward to listening to it!